With its proximity to the sea, beach lovers will find Pasir Ris a haven to live in. 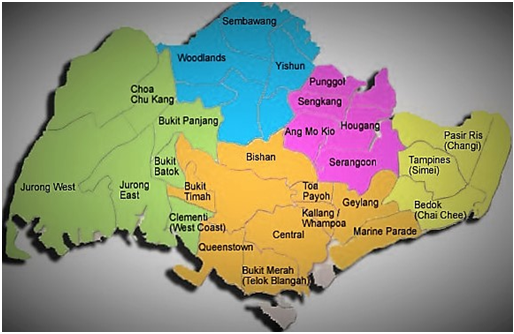 Located at the far end of Eastern Singapore, Pasir Ris is reasonably well developed with a population of 139,890 as at 2015. 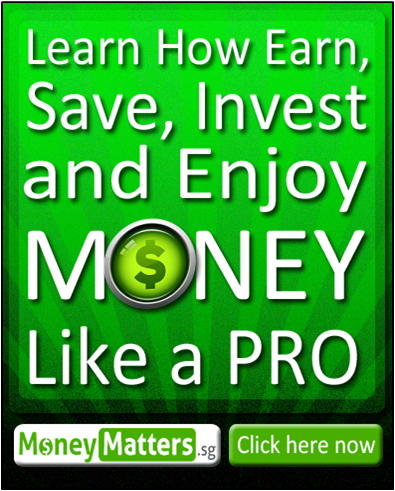 As in any part of Singapore, there are plentiful condominiums to choose from. 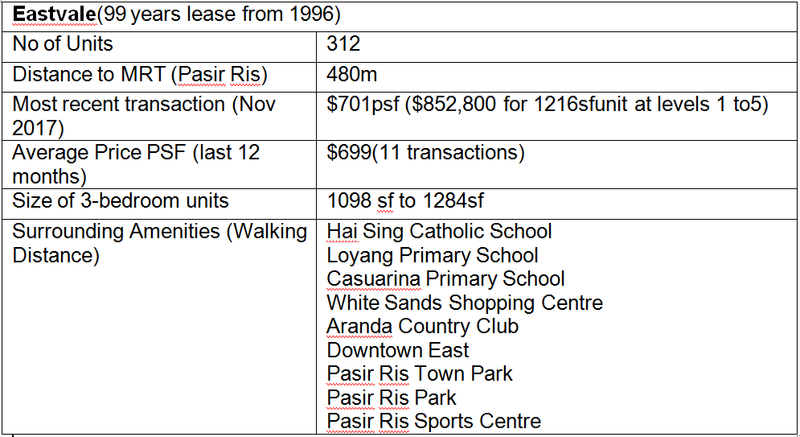 Which are the condos in Pasir Ris worth considering? Where are the condos reasonably near to MRT stations? Which development will give us a bang for our buck? 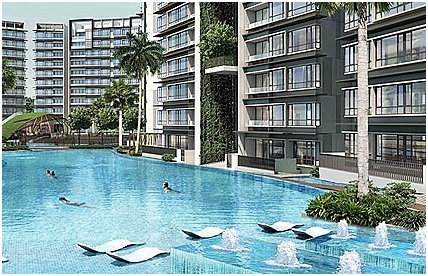 Pasir Ris offers all the amenities necessary for residents. Schools, shopping, recreation and transport are easily accessible. There are a number of primary schools in Pasir Ris. These include Pasir Ris Primary, White Sands Primary, and Elias Park Primary. Some secondary schools include Meridian Secondary and Pasir Ris Crest Secondary.Other institutes of learning are Meridian Junior College and the Overseas Family School. The biggest shopping mall in Pasir Ris is White Sands Shopping Centre, located near the MRT Station. Here, you can find all kinds of cuisine, be it local, Japanese, Thai or Western.There are also retail shops selling clothes, shoes and bags. Food and groceries can be purchased from NTUC Fairprice. Besides shops and dining options, readers will be happy to know that the National Library has a branch housed inside this shopping mall. For recreation, residents can head on to Downtown East,a leisure and entertainment hub where one can play pool, watch a movie, bowl, or have some water fun at Wild Wild Wet, a water theme park. Sports enthusiasts can visit the Pasir Ris Sports Centre, which has a sports hall and a swimming complex. For nature lovers, Pasir Ris Park is a wonderful place for families and friends to enjoy activities together like cycling, skateboarding, and even camping. This park is located along the beach front, and offers park users BBQ pits and fitness areas. For children, a big playground provides endless hours of fun. The main expressway serving Pasir Ris is the Tampines Expressway (TPE), leading outwards to the KPE and the PIE. Commuters who require public transport have easy access to the Pasir Ris MRT Station and the Pasir Ris Bus Interchange. Both these transport hubs are within walking distance of each other. Based on nearest distance to MRT stations, we have shortlisted three condos in Pasir Ris, and will be comparing D’Nest, Eastvale Condo, and The Palette. Our first condo, D’Nest, is located in Pasir Ris Grove, about 530m from Pasir Ris MRT Station. Developed by Hong Realty, it obtained its T.O.P in 2017. 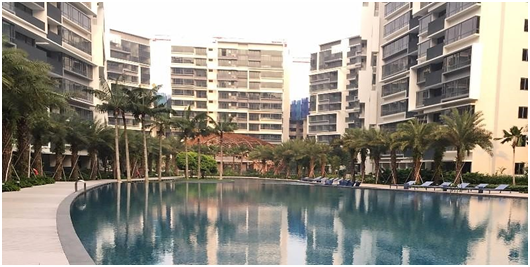 The second condo featured is Eastvale, completed in 1998 by Capitaland Residential. Finally, we haveThe Palette, completed in2016 by City Developments. D’Nest and The Palette are both new, having obtained their T.O.P the last two years. On the contrary, Eastvale is a much older condo as its leasehold status started from 1996. In terms of distance to the MRT, Eastvale has a very slight advantage over the other two condos. It also has the most amenities within walking distance. Because D’Nest and The Palette are comparatively newer, the number of transactions over the last twelve months is sizeable. Eastvale’s transactions number 11 over the past year, not too shabby a figure either. Where average psf price is concerned, D’Nest and The Palette are going for above $1000 psf. Eastvale’s average psf price is about $700. Quantum prices are also pretty competitive as the newer condos offer smaller units. Unit sizes are not too bad, the smallest being those of The Palette, followed by D’Nest, with Eastvale having the biggest units. All three developments are leasehold developments. Based on the various attributes such as distance to MRT, walking distance to amenities, unit sizes, and average PSF prices, I would probably go for Eastvale. Arguably, although it is much older, its unit sizes are more comfortable, and amenities around the area are also more convenient. Moreover, the total number of units in the development is 312, which is a good size, and not as many as the other two projects. In terms of location, I also prefer Eastvale to D’Nest as the latter is located right at the junction of the TPE and the Tampines Flyover. On the other hand, D’Nest is in an enclave of private developments while Eastvale is bordered on one side by HDB blocks. Buyers who want some exclusivity would prefer D’Nest or The Palette. The other downside for Eastvale is that buyers may need to fork out some cash to do up the unit as it is a much older development. As always, choices really depend on individual needs and preferences. Eastvale is old. During downturn its price drops more than others in the area. How much more upside can it go?